Quack, Quack. 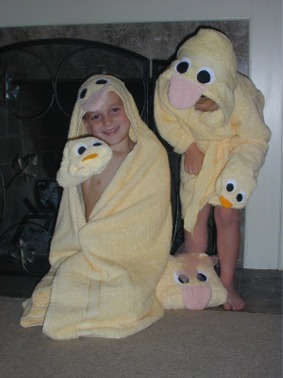 What a cute pair...this little duckie and your little critter in the tub! Please note: if you have purchased our ducks in the past, you will notice that they now come in a much brighter "spring yellow." So much better for springtime!